Create stunning visual effects with our full featured particle engine for the Corona & Gideros SDK. The city before you, deep in the mist shrouded forest, can't be found on any map. It shouldn't even exist. Though it's been asleep for a long time, you feel a mysterious power begin to awaken from the ruins around you. The city does exist. It's real. Could the secret magic, powerful enough to change the seasons, be real too?" The frog army needs you! Atomic Frogs™ is an endearing story about an army of frogs who acquired explosive abilities by bathing frequently in a radioactive pool. But one day, a troop of evil robots took their precious supply! Help them get back their life-giving toxic water by using the frogs' atomic powers to solve each challenging level! Cute and lovable frog characters, each having a different explosive ability! In High-Definition (HD) with vibrant game art and graphics! The scenery changes depending on the time of day! Game Center enabled. Challenge your friends and move up in the global rankings! Facebook Connect. Post your scores on Facebook! A roadmap of enhancements are in the works including more levels and contraptions, tougher robots, achievements and rewards, more powerful arsenal and boss stages! And of course... lots of EXPLOSIVE action! 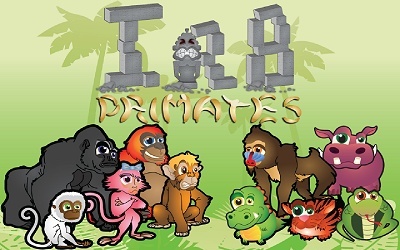 Meet IR8 Primates, a brand new physics game available for Android! Travel the world in search of four legendary golden bananas and defeat the treacherous baboon by destroying his barriers and the wicked jungle creatures who defend them. The fate of the world lies in the hands of the remaining irate primates! Features include multiple characters with special powers, 42 stages to explore with many more to be released soon which will test your abilities. 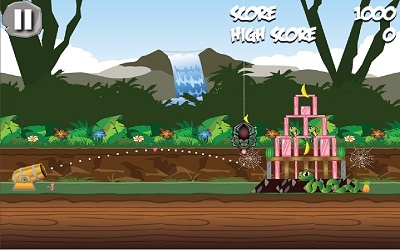 Use your logic and skill to collect all the bananas in each level, destroy the enemies and avoid traps. Compete against your friends to see who is the most IR8! Many more updates with levels and challenges coming soon! Try the game at different times of day and notice the backgrounds change! As you work your way through 25 exciting levels you will slowly unravel the story. Point and click game style and seek and find genre meet in this ‘escape the nightmare’ themed story. Secret items are everywhere and you must solve the hide and seek riddles in this adventure. This exciting adventure will push your mind to new boundaries with exhilarating graphics and addictive gameplay. Work your way through the terrifying story in a quest to regain some of the answers to this dark mystery. This thrilling story will keep you on the edge of your seat as you explore the house, collect items and unravel cryptic secrets. You will investigate and search the areas very carefully. Help John to complete his quest and reveal all of his mysteries. In the game you will travel through fantastic locations and solve amazing puzzles. John needs answers to end this mystery and you are the only one who can help him. Can you escape this madness, and the puzzles of The Sanctuary? The Sanctuary is far - but death has never been so close. Chip Chain features particle effects from the Particle Candy library and beautiful HD Retina graphics for iPhone 5, iPod Touch, iPad 3G and 4G, iPhone 4, and iPhone 4s. This Universal App also supports iPhone 3GS, iPod Touch 4G and 5G, iPad 1, iPad 2, and iPad mini. 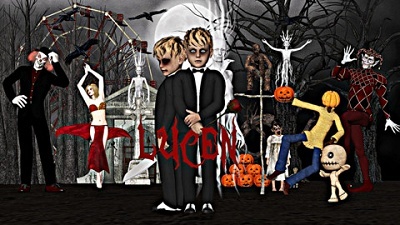 The story of Lucen takes place in the bizarre dark world of the Afterlife. The Afterlife is separated into two worlds. The first world is where the cursed souls are trapped for eternity. They suffer from starvation and pain but their souls live like this for eternity. The second world is a free range environment which is controlled by Death. The souls in this world just wander and wander without any memory of who they are and why they're here. Lucen is a special kind of soul. A threat to Death's Afterlife. Death makes sure he is put away and locked up for good in the first world until a ring of good spirits releases him and guides him out of the afterlife and on the way to the present world. There is something wrong in the present world that drove the ring of good spirits to bring back Lucen and help him escape the afterlife. As the guardian angel, it is your duty to help him escape Death's reign of evil spirits that are chasing after Lucen. There are many disturbing souls that try to lure the young naive kid into their evil schemes but only you can help him stay strong and courageous! 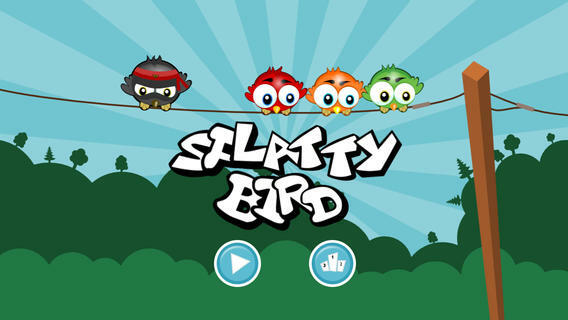 First came Flappy Birds, now here comes Splatty Birds. Splat as many birds as you can by tapping to snap shut the pipes. Don't let birds fall off the bottom of the screen and watch out of the bombs! Squish the ninja bird for extra points. Splatting birds has never been so much fun. Battle For Elysium is a space-based RTS, soon to be released for the iOS and Android platforms in July, 2013. Provides detailed statistics - game summary, most effective weapons and ships, etc. If your pre-school kids like jigsaw puzzles, they will LOVE Super Puzzle! Super Puzzle works almost like a real jigsaw puzzle. Once you pick a piece it stays on the board even if you place it incorrectly, and you can nudge pieces around until it snaps to the right slot. 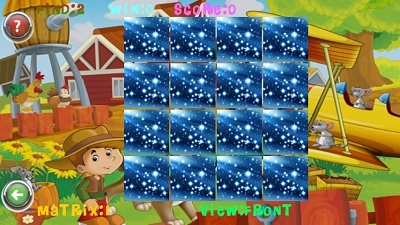 Each puzzle features a different beautiful scene drawn by a professional cartoon artist, and a unique reward when the puzzle is completed. You can choose whether to use 6 or 9 pieces, adjusting the difficulty to your child's skill level. In this trial version 6 puzzles are available for free! 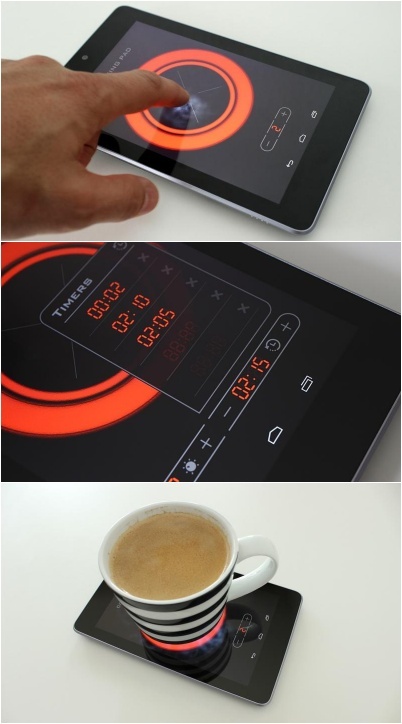 This application simulates a cooking plate heating up and has a simple egg timer function. You can save up to 5 of your favorite timers. The plate switches off automatically when the timer runs out and you will get a beep signal. Have fun and impress your friends with your fictitious cookeries. Start your mobile cooking experience today!